When Wendy Williams made a comment about Viola Davis' natural hair not being "glamorous" or "formal" enough for the Academy Awards on her daytime talk show, I was horrified but not surprised. You'd hear countless Black women echo the same sentiments just about anywhere you go. These women are generally projecting the hurt they've internalized since childhood. I hear those self-loathing words, and my initial instinct is not to attack. First, I simply want to ask, "Who taught you to hate yourself?" But, of course, I already know the answer. There exist no completely safe spaces for Women of Color to escape the utter oppressiveness of patriarchy and white supremacy. Because we each carry it around with us every second of every day, the indoctrination seeps out of our consciousness unwittingly. The education of men and non Women of Color about the difficulties of Black womanhood is not my responsibility, but for black women who get it utterly wrong, I have nearly interminable patience. Sisters need hugs and information, not verbal beatdowns and "draggings." Wendy's words are problematic; however, I'm becoming more concerned by the attacks she's received. It seems smart, thoughtful women are reveling in the low blows. Particularly sickening are the endless riffs on Williams' hair, face and figure. If I'm understanding this correctly. We are fighting the degradation and humiliation of a Black woman by degrading and attempting to humiliate another Black woman. It doesn't add up. A few months back, I tweeted that I would no longer comment on the physical appearances of women. With few exceptions, I've stayed true to that promise. I made the decision upon reflection on the ways I've internalized gauging a woman's worth by her physical appearance, and because I wish for a world where "beautiful" is not the highest compliment a woman can be paid. I take fictive kinship to the limits. I feel connected to most black women in all our contradictions and ignorance. 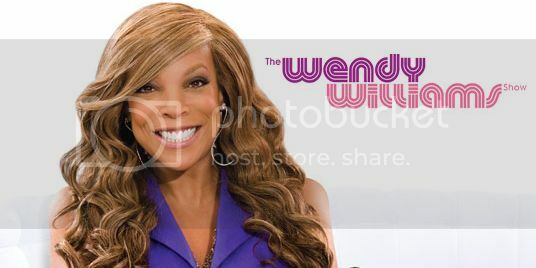 Viola is my sister, but so is Wendy. You can look at Wendy's self presentation and pathologize her, or you can see a woman dealing with familiar issues operating within the same sexist, white supremacist world we all live in. If you managed to escape the matrix with your self-concept and esteem in tact, I applaud you. You're doing a lot better than the rest of us. But heightened awareness gives no woman the right to shame another. Many of us are still nursing open wounds. Have a little compassion for your sister. Kimberly Foster is the Editor and Publisher of For Harriet. Email her at Kimberly@ForHarriet.com with comments or find her on Twitter.